​Throughout the year Westmoreland County offers a variety of fairs and festivals to keep residents enthralled and entertained while learning about our exciting heritage…plus, the food is great too! Many of our communities host local town fairs and community days, here is a listing of several festivals that annually draw over 50,000 attendees. The acclaimed Westmoreland Arts & Heritage Festival offers the best in visual and live performing arts, traditional and fine crafts, cultural heritage activities, humanities, and exciting ethnic foods, providing something for everyone’s tastes and keeping people coming back year after year. An annual summer celebration, the free Festival takes place at Twin Lakes Park in Greensburg, each July around Independence Day. Annual attendance is over 150,000. 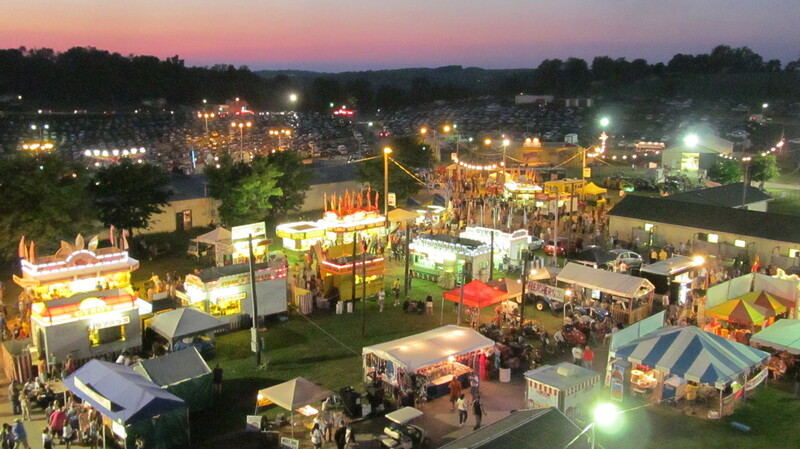 The Westmoreland Fair has been gathering Westmoreland County residents for well over 50 years. At the very beginning, the Fair was held at Idlewild Park in Ligonier. At that time the Fair lasted only three days and was attended primarily by 4-H exhibitors, their families and by people who just happened to be attending the amusement park. Today, there are 20 permanent buildings including barns, pavilions, and small arena – complete with stage on the Westmoreland County Fairgrounds. Each year, over 100,000 people come to the fair to learn about local agriculture, see shows, ride rides, and eat fabulous food. The Colonial Festival features exhibitors from 20 states! Browse and shop for unique treasures such as floral designs, embellished clothing, scented candles, stained glass, jewelry, decorative painting on various mediums, functional and decorative wood, pet treats & collars, seasonal home decorations, personalized ornaments, ceramics, flags, gourmet pre-packaged foods, dips & drink mixes, candies, fudge, kettle korn, cinnamon roasted almonds and much, much more! Western Pennsylvania historically supplied the world with the finest glassware and crafted items through the skills and dedication of hardworking people. The Mt. Pleasant area is well known for its glass companies, Lenox Crystal, L.E. Smith Glass Company, Electro Glass Products, Jamestown Glass Outlet and Youghiogheny Glass who have carried on the tradition of fine glass making and progressive new ideas in glass products and usage. From this tradition was born the annual celebration called the Mount Pleasant Glass & Ethnic Festival. Nestled in the Laurel Mountains, amongst beautiful fall foliage, Mt. Pleasant comes alive during the festival, which is always during September's last full weekend. This sparkling fall spectacular has evolved into an event that provides enjoyment for over 50,000 people in three days. Because of the uniqueness of the festival, it has grown to be one of the largest outdoor festivals in the Western Pennsylvania area. The Mount Pleasant Glass & Ethnic Festival, which is located on the friendly neighborhood streets and parks of Mt. Pleasant, provides various types of enjoyment for people of all ages. The Mount Pleasant Glass & Ethnic Festival has free admission, and free entertainment performed on three stages, as well as strolling entertainment throughout the weekend. This popular 3-day festival commemorates the Battle of Fort Ligonier, a key engagement of the French and Indian War, fought on October 12, 1758. On the grounds of the Fort you will find a living history encampment showing frontier life, military tactics, drills, cannon firing, ceremonies, Highlanders, redcoats, French troops, frontier men and women, Indians and music from 1758. A favorite at the fort is the re-enactment of the Battle of Fort Ligonier on Saturday and Sunday during the festival. On Saturday morning a huge parade winds its way down Main Street around Ligonier's picturesque Diamond. The parade includes historic units, floats, costumed characters, the shrine units and special guests, including local TV personalities, high school and college bands and often the Marine Corps Band from Quatico, Virginia. Dozens of community food booths line the Diamond and other locations throughout town. The variety will satisfy the hungriest of appetites. Sit-down meals are available at local churches and restaurants that line the streets of Ligonier. Approximately 150 craft booths in 4 locations are linked by shuttle bus service. Talented artisans display and sell their wares including pewter figures, wicker and wood, dolls, dried flowers, paintings & prints, stained glass, jewelry, leather, baskets, pottery, blacksmithing and lots more. Overly's Country Christmas is a nationally recognized holiday light display that has been featured on "Good Morning America" and other ABC, NBC and CBS affiliated television programs. In 1983, Good Housekeeping Magazine named Overly's Country Christmas one of America's Best Outdoor Light Displays. The Display had its early beginnings over 50 years ago when Harry Overly first decorated his rural Armbrust home with just a few strands of lights. "The kids like it," was all Harry Overly would tell anyone as they watched the light display grow. And he wasn't content with hanging strands of lights from the eaves of his house and in the bushes. It was his attention to detail that made the difference. Lights were meticulously intertwined in the branches of trees and strung in perfect rows along miles of fence that outlined his property. Harry was one of the first people to add animation to his displays, and it is now a hallmark of Overly's Country Christmas. Over the years, the Overly home and surrounding seven acres became a showcase: first attracting neighbors, then people from nearby communities and later people from all over the region. In 1991, Harry announced that the light display at his home would end and that he was in search of a new, larger home where even more people could see the lights. In 1992, with the holiday season rapidly approaching, Idlewild Park in Ligonier agreed to become a temporary site for the display in its transitional effort to find a new home. The following year, in 1993, a new home was found at the Westmoreland Fairgrounds near Greensburg. In 1994, Harry established a nonprofit corporation to ensure that his work would continue when he was no longer able. Today, Overly’s Country Christmas is held at the Westmoreland Fairgrounds from mid-November to the beginning of January. This special, family friendly event features millions of twinkling lights and animated light displays, holiday music, model train display, bonfire, gift shops, and more. 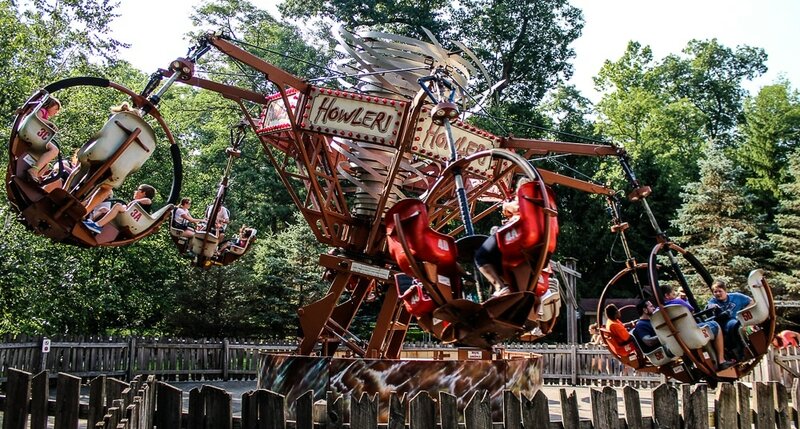 ​Westmoreland County is home to world famous Idlewild Park, the oldest amusement park in Pennsylvania. What began in 1878 as a picnic and campground area has turned into one of the most popular, family-fun destinations in the area attracting thousands of visitors each year. Story Book Forest, an enchanting land where nursery rhymes and children’s tales come alive, is one of the most notable aspects of the park. In addition to Story Book Forest, Idlewild also includes a waterpark and several other exciting theme areas. Each area incorporates a variety of rides and attractions, activities, unique shops, food and drink booths, pavilions and more. Living Treasures Animal Park, located in Donegal, is another popular, family-friendly attraction in the area. Living Treasures is home to over 500 exotic and/or endangered animals and is a great place for animal lovers. Caddie Shak Family Fun Park, located in Donegal, Statlers Fun Center and Seabase Family Fun Center, both located in Greensburg, offer family-fun activities such as miniature golf, go carts, and arcades. The region also has traditional movie theaters and drive-in movie theaters, fun centers and arcades, swimming pools, roller and ice skating rinks, bowling alleys, local parks and playgrounds, museums, and a number of other activities to keep any family busy. There are quite a few well known attractions in nearby counties including Kennywood Park – listed in the National Register of Historic Places, Sandcastle Water Park, Carnegie Science Center, Carnegie Museum of Natural History, Pittsburgh Zoo & PPG Aquarium, and Seven Springs Mountain Resort to name a few.